JOHNSON, JOHN MERCER, lawyer, politician, and office-holder; b. October 1818 in Liverpool, England, son of John Mercer and Ellen Johnson; m. 9 Oct. 1845 Henrietta, daughter of Adam Dixon Shirreff, high sheriff of Northumberland County, N.B., and they had 12 children of whom six lived beyond infancy; d. 8 Nov. 1868 at Chatham, N.B. John Mercer Johnson Sr was a Liverpool merchant who immigrated to Chatham in 1818 and became a commission merchant and auctioneer. Largely involved in community affairs, holding at different times the offices of magistrate, coroner, and high sheriff of Northumberland County, he headed several organizations at the time of his death in 1859. John Mercer Johnson Jr arrived in Chatham in 1821. Upon completion of his early education in the Northumberland County Grammar School, he studied law at the office of John Ambrose Street in Newcastle. He was admitted to the New Brunswick bar as attorney on 13 Oct. 1838 and as barrister in October 1840. 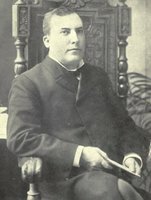 The same year he entered a law partnership with C. A. Harding of Newcastle; each of them had an office in their respective home towns a few miles apart. In October 1847 he entered into a similar partnership with Peter Mitchell* of Newcastle, which lasted for five years. 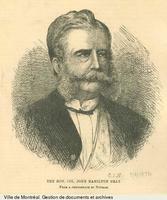 Later in life his law partner was William Wilkinson. In 1837 Johnson served as secretary of the Young Men’s Debating Society in Chatham. He was secretary in 1846 of its mechanics’ institute, giving several lectures on phrenology. Perhaps out of a sense of public responsibility rather than inclination he gave land in 1851 for a temperance hall in Chatham. By 1866 he was also an officer in the Union Lodge of Good Templars. At various times he held the minor local posts of hog-reeve, tax collector, assessor, and firewarden in the parish of Chatham. 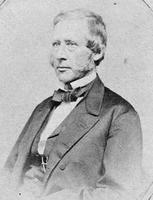 In the non-party political system of the time, Johnson was originally considered a conservative, but he was elected to the New Brunswick assembly in July 1850 as a liberal in favour of “Responsible Government to the full extent.” He also supported municipal corporations, retrenchment in expenditures, and reciprocity with the United States. In the assembly he quickly established himself as “an excellent speaker” with colourful debating style. When William Johnstone Ritchie*, the leader of the opposition, resigned over Lieutenant Governor Sir Edmund Walker Head’s appointment of executive councillors in 1851, Johnson emerged as one of the leaders in the weakened opposition. 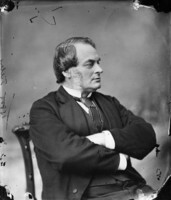 Johnson remained on the council without portfolio until he was elected speaker on 11 Feb. 1859. He was quite at home amid the passionate and rough debates of the period. 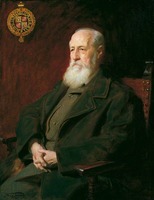 Even Lieutenant Governor Arthur Hamilton Gordon*, a young upper class Englishman, considered Johnson “one of the ablest men in the house, a good speaker and a ready debator, but very deficient in that judicial calmness & dignity which should characterize the occupant of the Speaker’s chair.” It was his failure to look after detail, however, that remained his main problem. “That incorrigible man Mr. Johnson is again the stumbling block” was the complaint of a secretary who needed his signature. Samuel Leonard Tilley*, the new premier, had a much higher opinion of Johnson and, following the resignation of Attorney General Albert James Smith* in 1862, had Johnson appointed attorney general, a position he retained until 1865. A consistent advocate of confederation, Johnson was a New Brunswick delegate to the Charlottetown and Quebec conferences in the fall of 1864 with Tilley, Edward Barron Chandler*, William Henry Steeves*, and J. H. Gray. He favoured a legislative as opposed to a federal union, but considered it impracticable. Consequently, he argued at Quebec for a strong central government. “Enumerate for Local Governments their powers,” he declared, “and give all the rest to the General Government, but do not enumerate both.” He was, at the same time, somewhat inconsistent, arguing against federal powers of reservation and disallowance. The judicial system had a special interest for him and he believed that the federal government should control all courts. Johnson was defeated narrowly in the first confederation election in 1865 when the Smith anti-confederate government came to power. 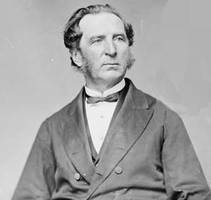 But he led the poll in the May 1866 vote that paved the way for the London conference, which he attended in December, and for confederation the following year. 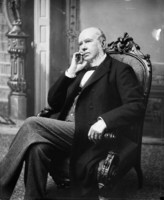 He resigned from the provincial assembly in June 1867 to run for the Canadian House of Commons, and on 4 Sept. 1867 he became the first federal representative for Northumberland County. 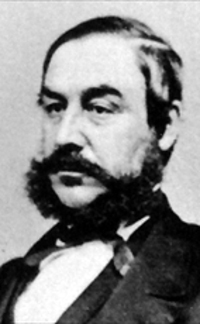 A contemporary described Johnson as being “of slender form, airy gait, and proud appearance; his complexion is dark, with a very sharp and piercing eye.” A keen sense of humour and a ready wit served him well in the legislature, especially as speaker. Old Manse Library (Newcastle, N.B. ), John Brown papers, J. M. Johnson, correspondence and legal papers. PAC, MG 27, 1, D15; RG 31, 1851 and 1861 censuses, Chatham parish, Northumberland County, N.B. PANB, J. C. and H. B. Graves, “New Brunswick political biography,” I: Northumberland County marriage records, 2. PRO, CO 188/143, Gordon to Cardwell, 8 May 1865. St Paul’s Anglican Church (Bushville, N.B. ), baptismal records (mfm. at PANB). UNBL, MG H12a, Gordon to Newcastle, 31 Dec. 1862; 1864. Documents on the confederation of British North America . . . , ed. G. P. Browne (Toronto and Montreal, 1969). The union of the British provinces: a brief account of the several conferences held in the Maritime provinces and in Canada, in September and October, 1864, on the proposed confederation of the provinces . . . , comp. 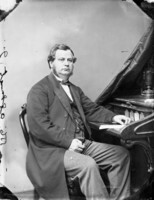 Edward Whelan (Charlottetown, 1865; repr. Summerside, P.E.I., 1949). Daily Sun (Saint John, N.B. ), 21 Aug. 1902. Gleaner (Chatham, N.B. ), 1845–68. Head Quarters, 28 July 1858. Morning Freeman (Saint John, N.B. ), 4 Nov. 1858. Morning News (Saint John, N.B. ), 5 Aug. 1850, 1 Dec. 1854. New Brunswick Courier, 6 Nov. 1858. Union Advocate (Newcastle, N.B. ), 12 Nov. 1868. Canadian directory of parl. (Johnson). James A. Fraser and C. M. Wallace, “JOHNSON, JOHN MERCER,” in Dictionary of Canadian Biography, vol. 9, University of Toronto/Université Laval, 2003–, accessed April 24, 2019, http://www.biographi.ca/en/bio/johnson_john_mercer_9E.html.